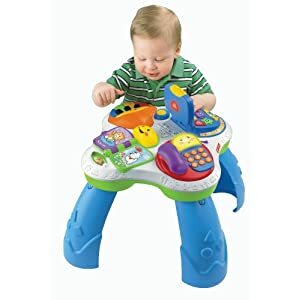 Fisher-Price Laugh & Learn Fun with Friends Musical Table right now is on sale at Amazon.com for only $36.95 with Free shipping. -It has a few different settings that include ABCs, music, an interactive real life sounds and Spanish with English translation, also that the ABC setting includes numbers, too. Each individual number can be pressed on the telephone. If you are looking for more on sale baby toys, just search Baby Toys. Amazon 现在你可以 buy this highly rated Fisher-Price Roller Blocks Rockin’ Wagon for just $13.99 (regularly $29.99)! This is a great price for this toy as it is priced at almost $18 on Walmart and $19.98 on ToysRus.com. Walmart.com 现在 you can buy this highly rated Fisher-Price Laugh & Learn Smart Stages Tea Set for only $11.81 (regularly up to $17.99)! Free store pickup. There are three levels of play to offer fresh songs, phrases and sounds for different stages as your child grows. 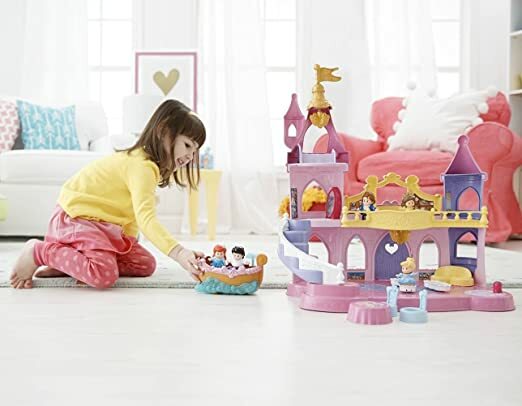 Amazon.com 现在这个 Fisher-Price Disney Princess Musical Dancing Palace 女孩子玩的宫殿音乐玩具，减价后 for only $18.90。 This item regularly sells for $29.99+， so this is a really nice price! This cute musical palace features Belle, Cinderella and Prince Charming. It plays two Disney songs – “Bibbidi-Bobbidi-Boo” and “Beauty and the Beast” and features a winding staircase. Walmart 现在 this Fisher-Price Little People Sit ‘n Stand Skyway price cut for just $23.99 (regularly $39.97). This stands over 3 ft. tall, includes 2 little People Wheelies cars AND it converts from sit-at-roadway to stand-up tower! 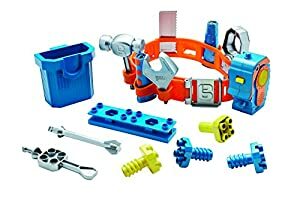 Amazon now you can buy this highly rated Fisher-Price Bob the Builder Talking Tool Belt for only $11.17 (regularly $19.99) whenever you clip the $4 off coupon located below the price – BEST PRICE! This Bob the Builder tool belt comes with lights, sounds and phrases, plus there are dedicated spaces to store tools and Mega Bloks. It also includes a communicator belt buckle and 2 multipurpose handles with 6 tool attachments. 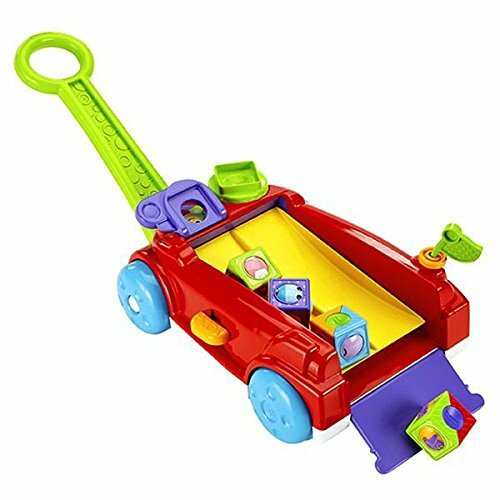 Through April 1st, Target.com is hosting a Buy 1 Get 1 FREE sale on select Fisher-Price Little People Toys – NO code needed (discount will automatically be applied at checkout). Free in-store pick up. Walmart.com OR Amazon.com now you can buy this Fisher-Price Little People Lil’ Movers School Bus for just $9.84 (regularly $19.99)! 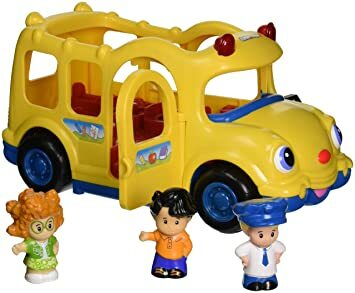 This toy school bus comes with 3 Little People characters – Maggie, Michael and Carlos the Bus Driver. Pushing down on the seated driver starts all sorts of action including lights, talking, and a song about stop and go! Amazon now this highly rated Fisher-Price Little People Loops ‘n Swoops Amusement Park Playset with frustration-free packaging for just $24.63 (regularly $44.99)! 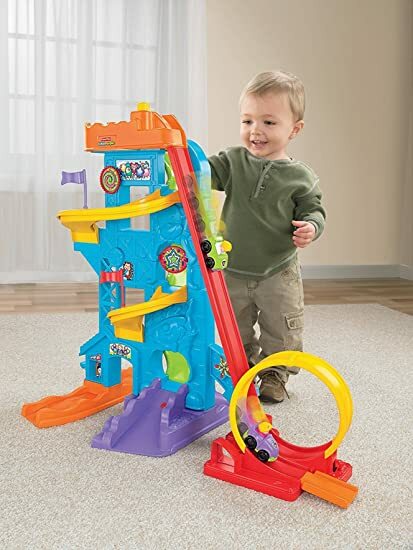 This Amusement Park Playset is over 2 feet tall and features a cool 360 degree loop. It also comes with mini vehicles that are just the right size for little hands. Walmart.com now get this Fisher-Price Little People Nativity Set for just $21.10! Choose free in-store pick up. This adorable set comes with twelve figures and a manger including Mary, Joseph, Baby Jesus, angel, Three Wise men, camel, baby donkey, adult donkey, lamb, and a calf. 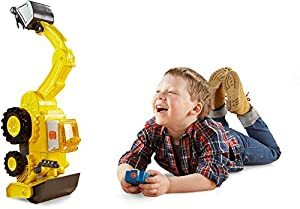 Amazon.com now get this Fisher-Price Bob the Builder, R/C Super Scoop Talking Motorized Vehicle for just $13.92! This remote controlled vehicle features motorized action, cool sounds and fun phrases – dig, drive and dance with just the push of a button! And in ‘Scoop Stand’ stunt mode, R/C Super Scoop uses his back digger to push himself up onto his front bucket, then lift his body straight into the air, like he’s doing a handstand. BestBuy.com now get this Fisher Price Think & Learn Code-a-Pillar is only $24.99 (regularly $50!). Shipping is FREE on orders of $35 or more free in-store pickup. Designed for kiddos 3-6 years old, the Code-a-Pillar encourages kids to explore sequences, critical thinking, and discovery – the first steps in learning to code! 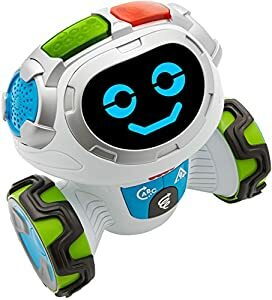 The toy even has character sounds and blinking eyes, and each segment lights up as you connect them. Amazon.com now you can get this Fisher-Price Little People Animal Rescue Playset for only $25.59 shipped (regularly $39.99). 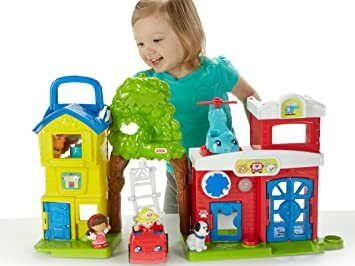 This set has four character figures including Mia, Firefighter Rob, a cat and a dog and even has working lights and plays fun songs and phrases. Amazon (Prime Members only), now you can get this Fisher-Price Laugh and Learn Smart Stages Sis for just $9.99 shipped (regularly $14.99). 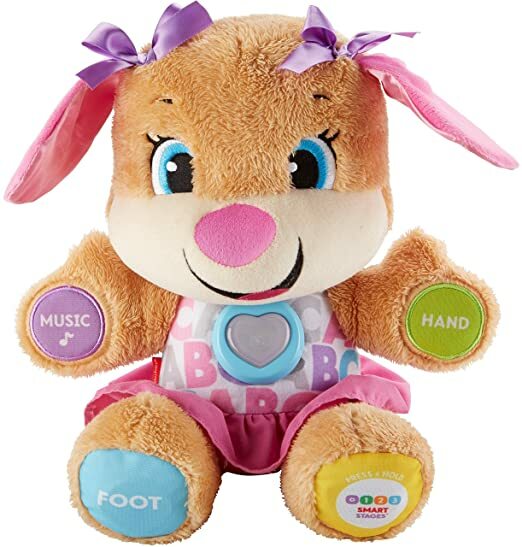 This cuddly puppy sings songs and teaches your toddler new words, shapes, colors and more and includes three stages of learning so it adjusts with your child. Walmart.com now you can get this Fisher Price Think & Learn Code-a-Pillar for only $22.99 (regularly $36)! Choose free in-store pick up. Amazon.com 现在你可以买到 this Fisher-Price Nickelodeon Blaze & the Monster Machines Animal Island Stunts Speedway for just $19.99 (regularly $39+) – lowest price ever! 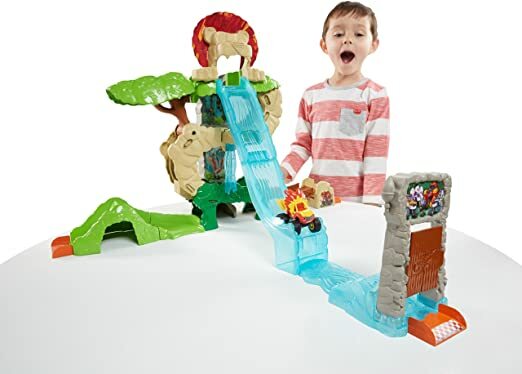 This large-scale track playset for Blaze die-cast vehicles features four stunts (like racing upside-down through a curved stunt track, riding down a hinged treetop, and zooming straight down a vertical chute) and includes the exclusive Lion Blaze die-cast monster truck. It also connects to other Blaze and the Monster Machines track sets. On Walmart.com you can now get this Fisher-Price Laugh & Learn Around the Town Learning Table for only $23.88 (regularly $45.02). This Fisher-Price table is perfect for kids ages 6 to 36 months. It features Smart Stages technology with 3 levels of play, 9 lights, over 120 songs, tunes and phrases! Your baby will learn opposites, the alphabet, numbers, shapes, color and even a few Spanish words with this interactive toy!